The Student Accounts Office is here to professionally serve the financial needs of SUNY Orange students. 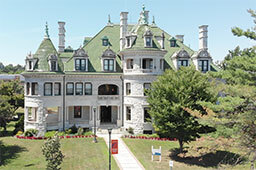 This includes accurately disbursing and collecting student funds, administering the financial programs of the college in compliance with county, state, and federal government regulations, and responding to student and parent inquiries about financial issues in a helpful, informed and courteous manner. All correspondence we send has financial implications, please take the time to read this important information. We are happy to answer your questions. Don't Get Dropped! Protect Your Courses! Payment arrangements must be in place by the deadline posted below, or you may be dropped from your upcoming registered courses. Students who register for both Summer I and II will follow Summer I deadline dates. We are excited to offer Proxy Authorization Access. Students can grant others (referred to as a proxy) access to the student account and financial aid information. Get started by logging into your MySUNYOrange account and clicking the Proxy Authorization tab. It is important for you to also add yourself as a proxy as this will allow the staff to answer questions regarding your account when you call the College. We are happy to answer all of your questions and encourage you to contact us! It is SUNY Orange policy that detailed student account information will only be discussed in person with the student. Please refer to the SUNY Orange Red Flag Policy for more information. Clicking on this link will take you out of the SUNY Orange web site and into a new browser window for on-line payments. The college cannot be responsible for the content of this external web site, even though the site has been reviewed and is recommended by the Student Accounts Office. The BankMobile Vibe Account Debit MasterCard is issued by Customers Bank pursuant to license from MasterCard International Corporation. The card is administered by BankMobile. 2017 BankMobile a division of Customers Bank.